This workshop is focused on opening the hips from all six directions. The session opens with a discussion on the hips and the different movement directions that the hips provide. Students then move in a flow practice to warm up the body, followed with long deep holds in poses to release tight muscles in the Physical Body. Unique in this workshop is the application of Chakra Work through imagery, mantra and breathing techniques that release holding in the Subtle and Emotional Body, where tightness in the hips can originate. 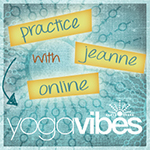 Jeanne teaches with sensitivity, generosity of spirit and a good dose of humor. 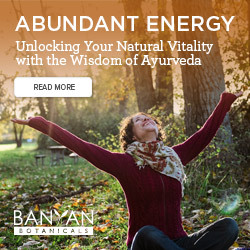 Founder of Tantra Flow Yoga, she brings together her years of studies and teaching skills into a style of yoga inclusive of asana, Ayurveda, mindfulness, with the added focus of the poses’ energy. Facing ongoing pain from scoliosis, yoga allows her tools for physical realignment and acceptance of difficulties. In her quest for a deep and meaningful connect with all that yoga has to offer, she studied extensively in Ashtanga, Iyengar, Anusara, ParaYoga, Vini and Trantra Yoga; each adding a deeper element of meaning to her practice and teachings. Jeanne is a 500-ERYT, ParaYoga Level II certified teacher, YogaWorks senior teacher – tours internationally teaching teacher trainings, workshops, and retreats.